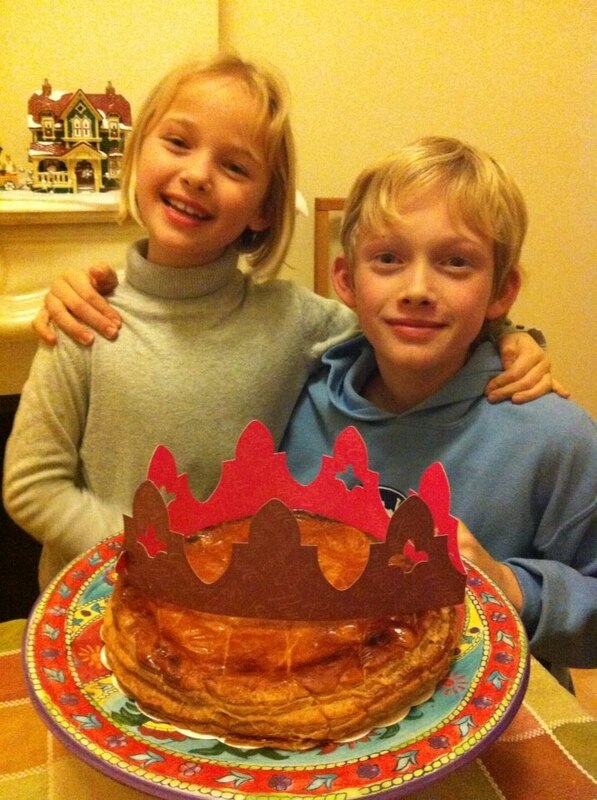 Eating King Cake in France, la Galette des Rois for Epiphany…and guess who’s queen? 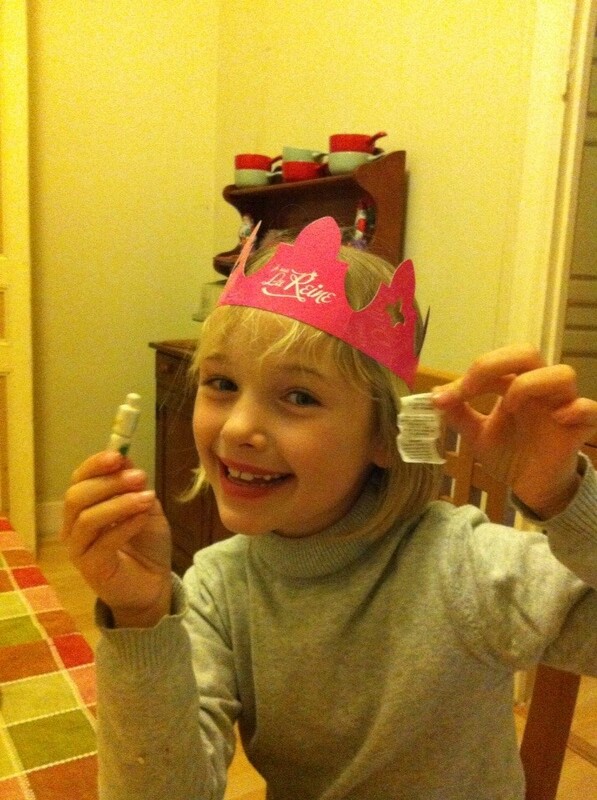 This little porcelain “fève” is what my daughter found in her slice. I know she didn’t cheat, because we followed tradition. Since she’s the youngest, she hid under the table and called out who would get each slice. 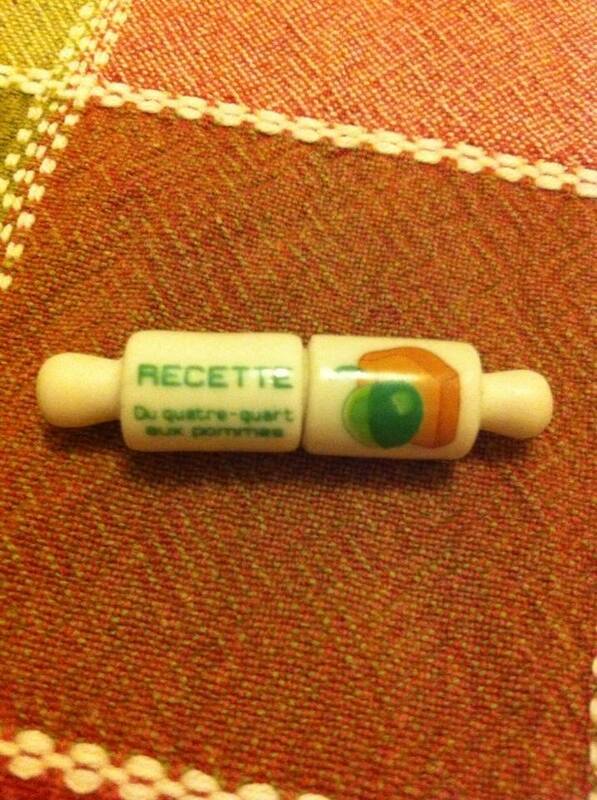 And just look how cute that is! 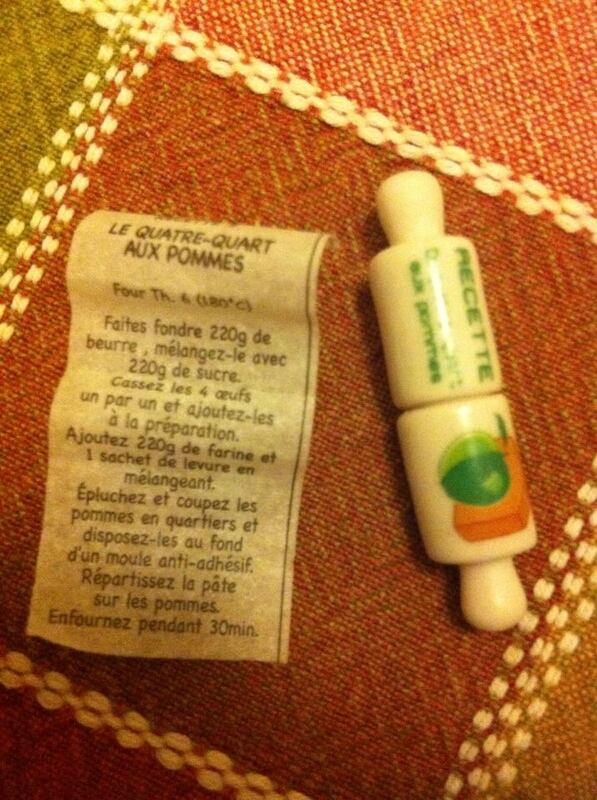 It’s a little rolling pin, and on the outside is written “recette du quatre-quarts aux pommes“, which means basically “apple pound cake recipe”. 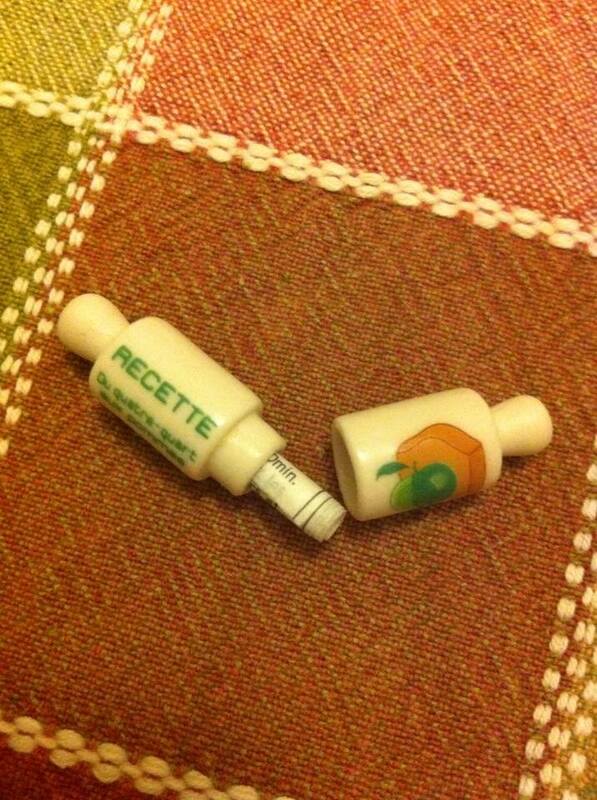 On the inside, do you see the little scroll of paper? It’s the full recipe! How cute is that?? BTW, if you’re wondering, the galette came from “La Maison Carratié“. If you come through Béziers, it’s a must stop. And guess what? It’s owned by a French-American couple, Laurent and Carmela. How fun!